360 feedback from managers and peers. Helping 900+ companies with employee-centric performance management software. Lattice adapts to fit your company’s performance management system whether you run annual performance reviews or quarterly development cycles. 360, managers, direct reports, and self reviews. 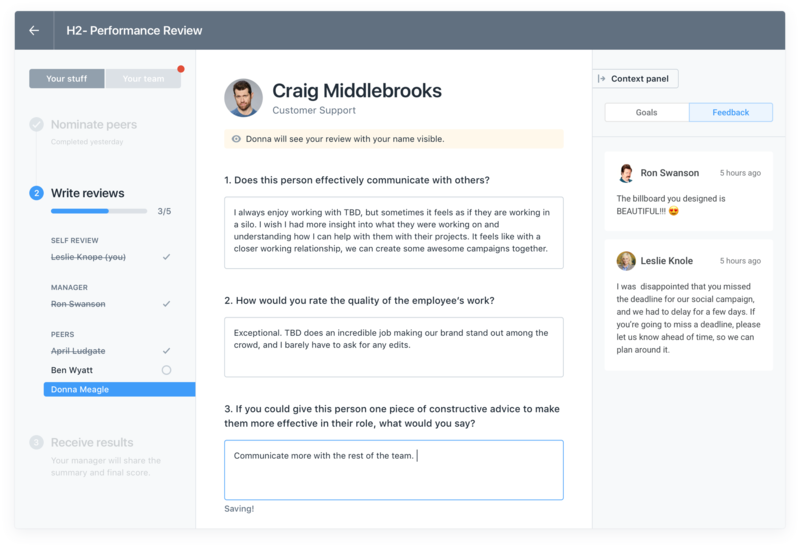 Lattice provides a performance review system for human resources to run a review cycle in multiple directions in real-time. Build the review question template that's right for your business and evaluation process. Ask any questions you want in the review. You’ll be able to customize the rating scale, add multiple choice questions, and even make questions optional. Make Lattice work for your human resources management process. Bring performance goals into the performance review by using our goal question performance review question type. This helps companies evaluate job performance and align your goal setting process with performance evaluations. Lattice adapts to fit your company’s talent management process, so you can drive employee engagement and employee development. User-friendly HR software system for HR professionals. 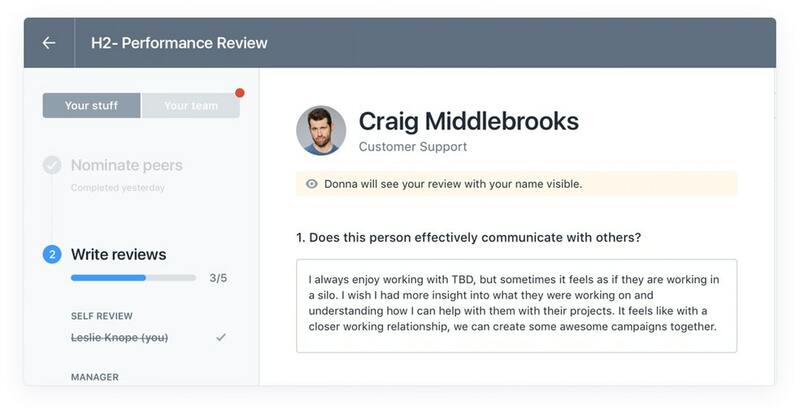 Customize emails throughout the review process, so that you can control the employee experience. Track progress on the entire review process and monitor where each team member stands within the cycle. Make sure every employee participates in the employee evaluation cycle without annoying reminder emails and chat messages. Manage the selection process from the admin dashboard where you can track progress and nudge employees when necessary. 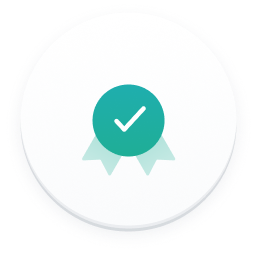 Set your review cycle up to run automatically based on your schedule or manually move the cycle forward. 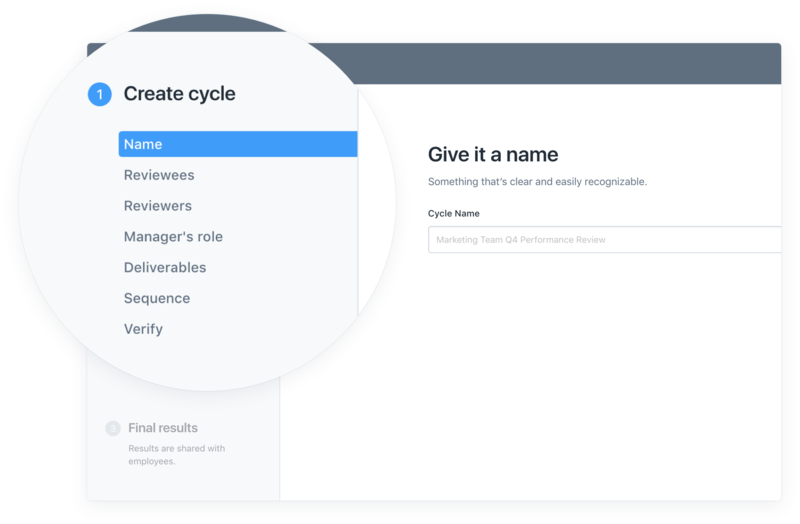 Build automated cycles that run on their own, so you can onboard that employee or just set and forget. 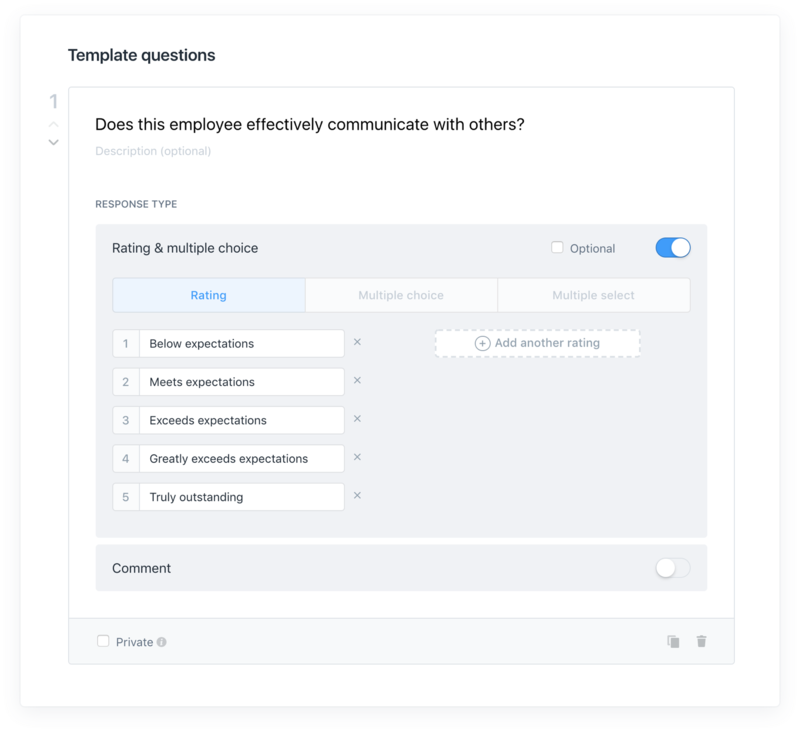 We’ve rebuilt the performance review evaluation experience from the ground up to make the process seamless for employees, and focused around employee development. 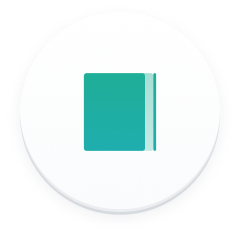 Organizes all of your reviews in one place, so you can just go down the list and provide feedback to your colleagues, and managers. 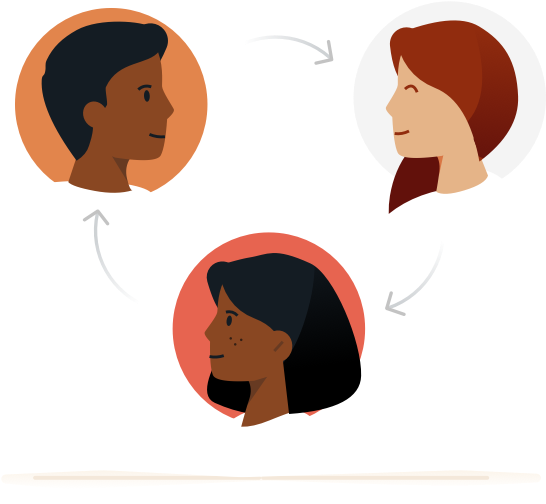 Bring goals & regular feedback into the review to help reduce recency bias and provide necessary context. Managers can organize review responses, and provide a consolidated snapshot of feedback to reports during the performance review discussion and future coaching conversations. HR teams can choose to make peer feedback anonymous, so negative feedback can be filtered through managers. 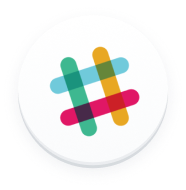 Share review feedback with employees either through a web page or PDF. These packets are used for follow up conversations and performance discussions. With one clicks managers (and HR teams) can share feedback with employees and start to build action plans. Store all of your past review cycles to create a baseline / template, so you don’t need to start from scratch. The ability to add an employee's performance and behavior score for each annual review cycle or developmental feedback, so you can aggregate data on the company’s performance. Aggregate all of your performance review data to identify top performers and employees who need help. 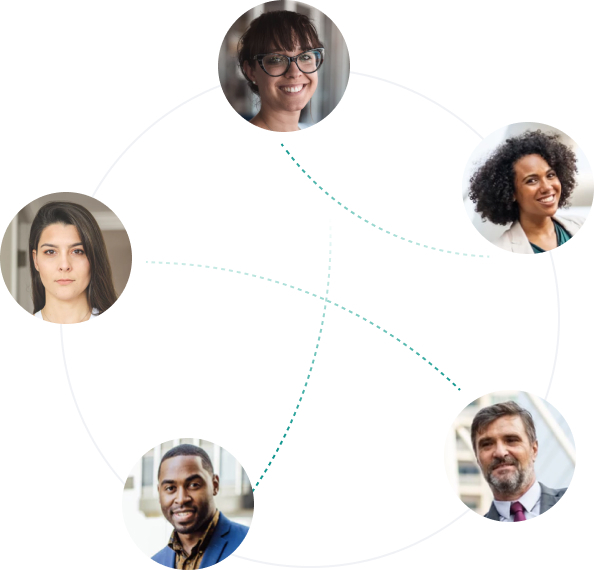 Lattice helps organizations run performance reviews outside of the traditional org chart. Traditionally, performance reviews are conducted by an individual manager to give an employee feedback and determine raises and promotions. But this doesn’t work for every type of organization and every use case. Agencies and consulting firms want to run review cycles based on project or retainer teams, and some organizations have a flat organization structure which makes the traditional manager review cumbersome. With project based reviews, organizations finally have a dedicated solution tailored to their unique needs. Your performance review is next week. Here's what you need to do.